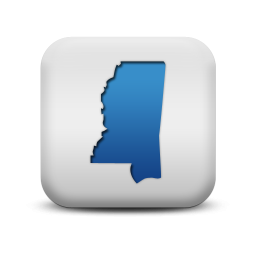 Save money with target workers compensation programs for Mississippi employers. In Mississippi we have access to more than 20 insurance companies that allow us to shop your policy to many different providers. Most insurance agencies only use a few select providers. Working with this many agencies allows our agents to negotiate for more comprehensive coverage and much lower rates. Our partners offer a wide variety of industries including contractors, trucking, landscaping, restaurants, home health care and retail businesses. Another benefit we offer from partnering with so many agencies is that we can get your company more options if you are in a difficult to quote class code. Some insurance carriers will not quote businesses in certain industries. Businesses in that industry must buy coverage from the assigned risk provider. Because there is no competition in the assigned risk plan rates are much higher. Our agency services more than 1,500 businesses in Mississippi and we have been for more than a decade. Contact a Specialist at Workers Compensation Shop.com to learn more about our Mississippi workman's comp programs 888-611-7467. Mississippi has fairly cheap rates on workers' compensation insurance. Fifteen percent lower than the rest of the country on average. Mississippi is a no fault state meaning there is a law enacted guaranteeing payment of certain medical costs and lost wages to workers injured on the job. Mississippi is also unique in that it has a workers' compensation commission whose role is to supervise and monitor claims within the state work comp system. At Workers Compensation Shop.com, we offer programs with flexible payment options because we know how crucial cash flow can be to your business. We've developed Pay as You Go Workers Comp Coverage to help lower up front costs and offer monthly reporting for your premium payments. Give one of our workers compensation specialists a call today at 888-611-7467 to see if Pay as You Go is right for your business.